This double-gold winner is the perfect marriage of heat & smoke. COOKING LIGHT Magazine says "it's surprisingly subdued and balanced...this oil satisfies".The combination of pure New Mexico chili's and our premium smoked olive oil make SANTA FE a customer favorite. 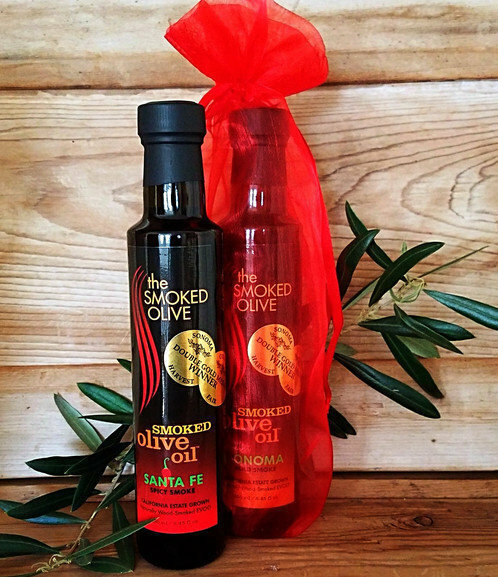 The Smoked Olive's exclusive process NATURALLYwood-smokes premium oils, in the absence of heat - air & light. This preserves the integrity and flavors of our beautiful oils....for quality you can taste!